Character Mechanics Concept: No Magicka, can't cast spells normally, uses staffs, traps, and other gadgets to get her way. NO MAGICKA - Can't cast Spells. Staffs Regenerate their charge over time and by waiting. Magic Skills go up by using Staffs. Can use Alchemy ANYWHERE ANYTIME. Can write scrolls ANYWHERE, ANYTIME to cast what staffs can't, scrolls are consumed. Can Craft Staffs at a STAFF ENCHANTER at any of the main holds. Even though she cannot cast spells normally, she must LEARN the spells in order to craft them into Staffs or Scrolls. Spider Companion, holds loot, acts as a tank, it can be knocked out but not killed. Warning, this list of mods may or may not be stable. These are simply the mods that I started testing with, This list will NOT be kept up to date., and even when this list is updated, until finalized in the form of a video it's subject to change, even during a Live-Stream. Perkus Maximus - http://www.nexusmods.com/skyrim/mods/59849/ Revamps all the talents, allows Staff/Scroll crafting. 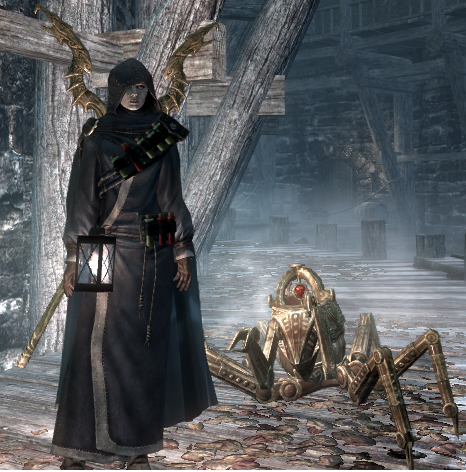 SPERG - http://www.nexusmods.com/skyrim/mods/24445/ Will allow her to raise her magical skill by USING staffs, allows the Spider best friend. This is important, place sperg near the TOP of your load order, so Perkus Maximus OVERWRITES most of it's functions. LOOT WILL SORT THIS PLUGIN WRONG. Scroll and Quill - http://www.nexusmods.com/skyrim/mods/55388/ Adds new ways to craft Ink, allows your enchanting to go up from crafting Scrolls. Be sure to download the PERMA version. Harvest Overhaul - You get a more balanced amount of herbs per plant based on the plant type, it does more and more. Be sure to enable Creature Loot on the mod configuration Menu. Be sure to enable all recipies on the creature MCM, ESPECIALLY Scroll-crafting recipes. Flora Respawn Fix - http://www.nexusmods.com/skyrim/mods/31268/ A lot of Skyrim's plants don't respawn every time they should, this fixes that. Be sure to get the Harvest Overhaul version. SoulGem Crafting - http://www.nexusmods.com/skyrim/mods/63810/? - Created FOR THIS BUILD by Zampp, Thanks a lot! Synod Artificer Plugin - http://www.nexusmods.com/skyrim/mods/63810/ Created FOR THIS BUILD by Zampp, Thanks again! 3 of any mountain flower type can become Ink for crafting Scrolls. 1 Firewood can become 1 paper. Ink and Paper weigh less. Load this near the bottom of the load order, above Patchus Maximus. Do the Perkus Maximus Patcher. Alchemists Hidden Valley - http://www.nexusmods.com/skyrim/mods/30545/ The Playerhome for the Character. Hidden south of Falkreath. Legendary Cities Tes - http://www.nexusmods.com/skyrim/mods/47989/ (Adds back in the cities that were in Skyrim during Elder Scrolls 1: Arena when you visited there, that got REMOVED from Elder Scrolls 5: Skyrim. Oakwood - http://steamcommunity.com/sharedfiles/filedetails/?id=100934504 One of the cities that wasn't added back in the above mod. Wyrmstooth - http://www.nexusmods.com/skyrim/mods/25704/ After unlocking Dragon Shouts and hitting a certain level, Wyrmstooth starts, a new island with it's own main quest.